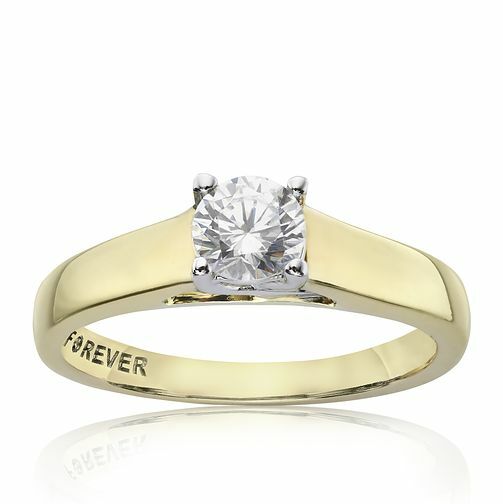 Timeless and classic, this stunning solitaire diamond ring from The Forever Diamond will take her breath away. Crafted from 9ct yellow gold, this ring features a white gold claw setting to accentuate the beautiful diamond solitaire totalling 1/3 carat. Each Forever Diamond has been independently certified by the GSI for colour, clarity, carat and cut.